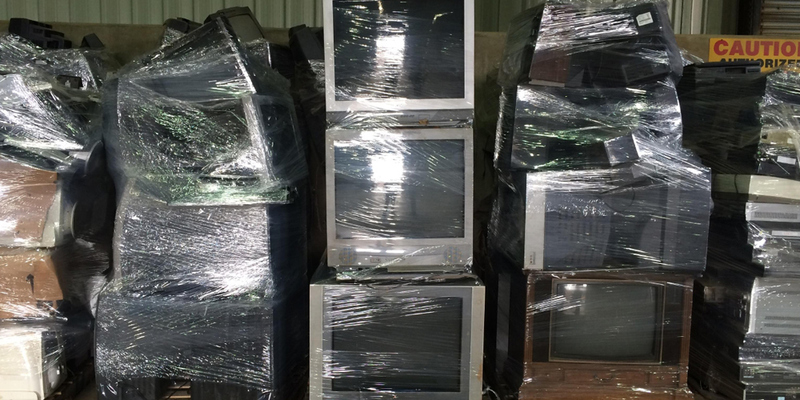 LEGACY IS YOUR COMMUNITY’S SOLUTION TO E-WASTE! Many citizens look to their local municipalities for a solution to dispose of their electronics properly. Legacy as a registered collector of electronics with the WDNR will be able to solve this problem for you with little effort and no cost to the municipality. Legacy is proud to work with local, state, and federal officials. Whether it’s a small electronics drop off area at your local recycling center, full-scale collection events, or something in between, we will work with you to develop a custom solution for your resident’s needs. Less Landfill Space – Will reduce waste going into the local landfills and conserve land. Protecting Surroundings – Recycling electronics ensures that chemicals such as mercury and lead are not leaking and contaminating the soil from landfills. Conserving Natural Resources – Valuable materials from electronics can be recovered and refurbished. By conserving natural resources, your municipality contributes to saving energy and minimizing pollution. Residents depend on you to help them keep their homes and their neighborhoods clean and free of waste. Helping to keep your public spaces clean. Recycling Brings a Community Together. Save Money – Reduction in disposal costs paid at the landfill. Helps to boost recycling rates and the recycling industry. Specializes in responsibly handling and recycling of any and all electronics. We come prepared and take care of all the logistics needed to make your event run efficiently and smoothly. Whether it’s a single box truck or multiple semi loads of recyclables we can handle any amount. Offer complimentary DOD hard drive erasing on all computers, laptops and servers dropped off. We handle the layout of the event and determine the best flow. We make it effortless on your residents and remove all items from their vehicles. They can just stay relaxed in their cars. Run events in any type of weather. Legacy makes it simple and easy for both you and your residents, we take care of it all! Working only with R2/ISO certified refineries. Being a WDNR Registered Collector of Electronics. We maintain 3,000,000 dollar liability protection. For residence, please call Legacy Recycling or visit your local municipality website to view upcoming electronic recycling events in your area! Thank you to all the communities and groups that hosted a recycling event with us. See you again soon!